that encourages each child individually while utilizing a hands-on approach. prepare the children for the next level of education. 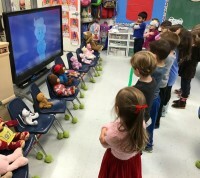 Circle time: calendar, counting the days of the week, songs, weather bear, show & tell and a look at the projects and academics that will be the focus of the day. Art Activities: painting, cutting, tearing, pasting, gluing, creating, play dough, clay, working with many mediums, and much more... to encourage your child's creativity. Science & Math: taught through sand & water play, various counting games, science experiments, cooking projects, outdoor activities, to mention a few! Recess: 2 FENCED PLAYGROUND AREAS: An area with Poured Rubber Surfacing and a GREAT PLAYGROUND SET as well as Little Tikes and Step 2 Equipment for physical exercise, fun & games with friends and fresh air! We also utilize our grassy Playground area for sports activities, picnics, games and more! Story Time: stories that coordinate with our themes are read to the children each day to entertain, enhance academics and promote reading readiness. Dance/Movement/Music: (1 to 5x weekly) in our large GYMNASIUM! 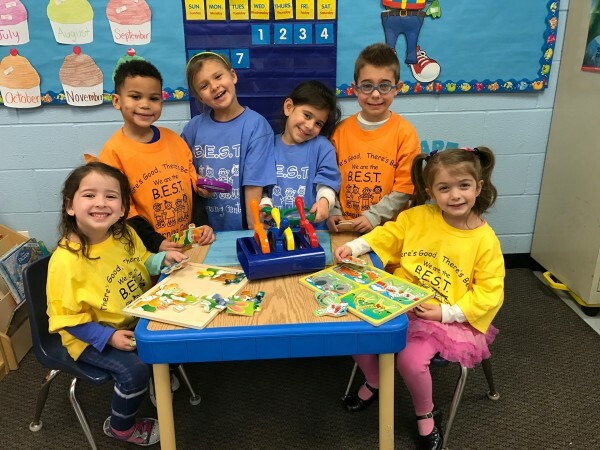 Our private Instructor teaches physical education and sports, movement, music appreciation, finger plays, many different styles of dance, parachute play, hand held instruments, tumbling and lots of fun! Our stage is ideal for drama and performances throughout the year! Spanish: Our Spanish teacher goes to each classroom. She teaches common words and simple phrases. 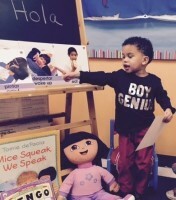 Our curriculum includes Spanish bingo, games, songs and activities that are all designed to teach and expose our children to the excitement of speaking a new language. Magnifico! Computer Class: The children go to our computer classroom where our computer teachers give the children individual instruction 1-5 times weekly. Programs and games coordinate thematically. 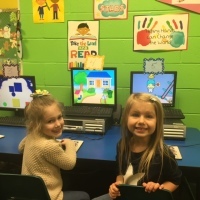 Basic computer handling, fine motor skills and coordination are all enhanced through this activity. B.E.S.T. Learning Center's theme calendar outlines our themes that are taught throughout the year. Our themes change approximately each week and incorporate many subjects, facts, holidays, special events and occasions and learning activities. Our thematic approach offers our children a fun, yet factual introduction to science, math, community, health & safety, social studies, reading readiness and more. 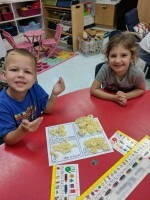 All themes are age appropriate and are taught through hands-on activities and learning centers. 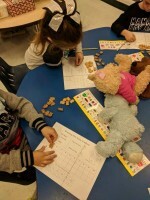 Academically, each day we teach and reinforce colors, shapes and independent letter and number recognition. 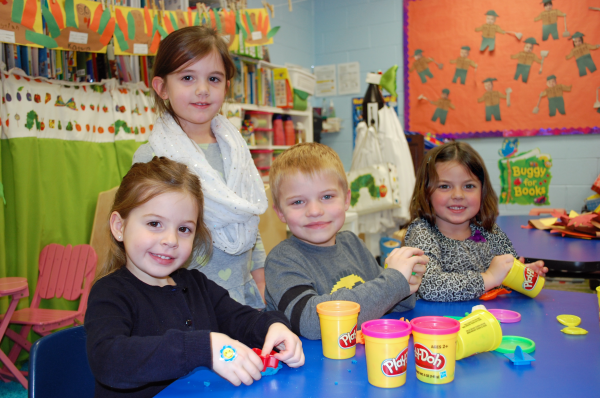 We begin our classes with organized, structured activities that concentrate on academics and learning tasks. Our 3 year old and Pre-K classes keep journals and have daily writing of their names and the letters of the alphabet. Reading Readiness is emphasized by teaching the letter sounds and discussing words that begin with the letter of the week. We are very proud to offer an Accelerated Full Day Pre-K class that has an enriched Pre-K curriculum that encompasses Pre-K and Kindergarten curriculum. own personality and special qualities and to become confident, self assured, happy students! Please go to our School Calendar Page to view our School Calendar and other important dates.